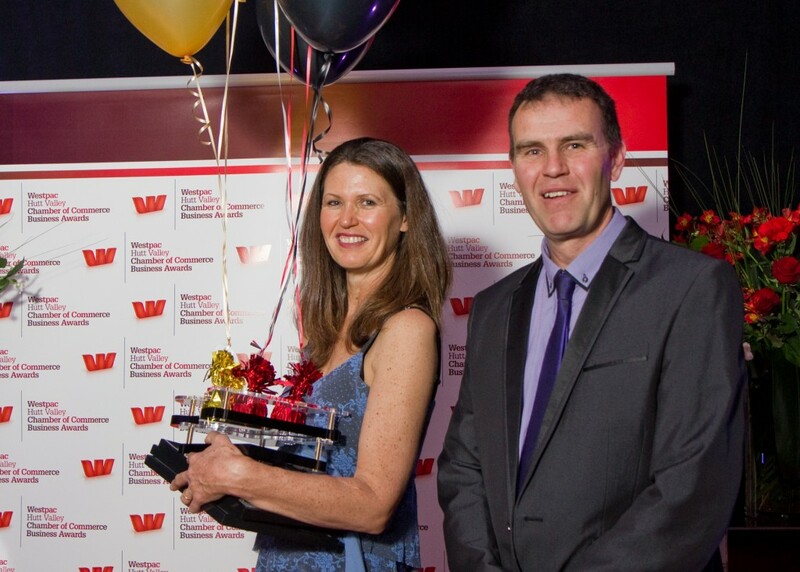 We’re absolutely thrilled and delighted to have received the Sustainability Award at the Westpac Hutt Valley Chamber of Commerce Awards 2013. The Gala Dinner was hosted at Avalon studios, with 420 in attendance and over 30 Hutt Valley companies nominated for awards. Hutt Valley Chamber Chief Executive, Mark Futter was full of praise of the efforts local businesses have made, describing the event as a true celebration of business enterprise in the valley. “Business in the Hutt Valley has been through some tough times in the past few years and the companies on the short list for awards have displayed flexibility and a commitment to moulding their businesses to meet the market demand,” he says. “Hutt Valley business activity is above average for the region and we see trends which show potential for further growth. This is a time to share in the success of the winners and inspire others to take advantage of the knowledge being shared through the awards,” Mr Futter said. We were absolutely honoured to receive the award, as sustainability is one of our key challenges. Printing often gets a bad reputation for not being environmentally friendly, and we’ve worked hard to become a market leader – not simply meeting minimum standards, but setting them and being exceptional. We are so happy to have been recognised for our efforts – thank you Westpac and the Hutt Valley Chamber of Commerce!